Robert B. Stinnett was a naval photographer in the U.S. Navy during the war in the Pacific from 1942-1946. Born on March 31, 1924 he lived a long, full life to age 94 passing away on November 6, 2018. He served in the same theater as President George H. W. Bush. He earned 10 battle stars and was the recipient of a presidential unit citation. After the war he became a sports photographer for the Oakland Tribune. 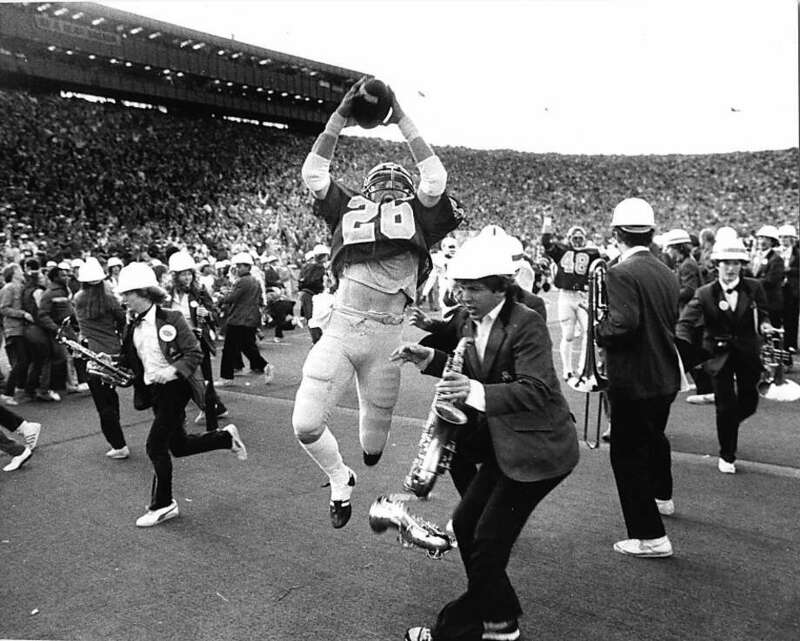 He captured a great photograph in the game between the Stanford Cardinal and the California Golden Bears on November 10, 1982. It was called The Play. Kevin Moen fielded the Stanford kickoff and through a series of lateral passes with other teammates entered the end zone going through Stanford’s band. It was one of the greatest plays in football history. California won 25-20. Moen landed on the trombone player. 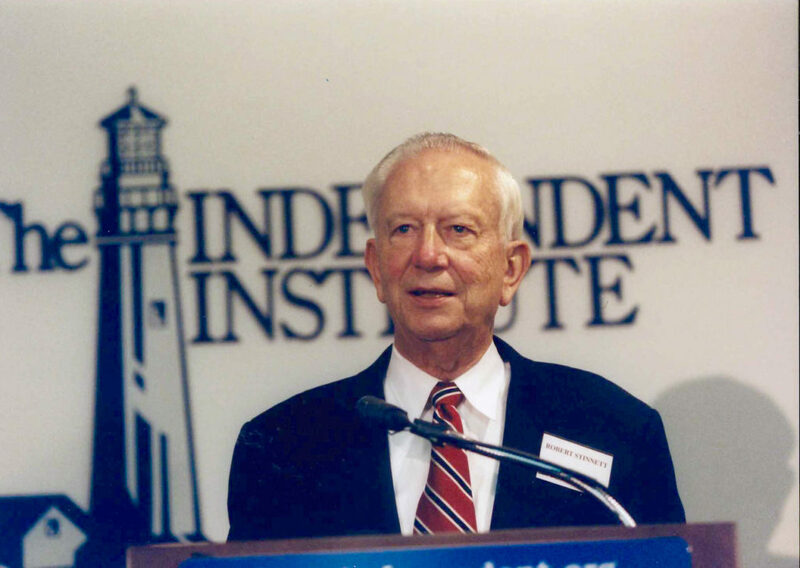 Robert retired from the Tribune in 1986 and devoted his life to research and writing. It is here he earned his true glory. War is an ugly beast. Having lived through it he knew. 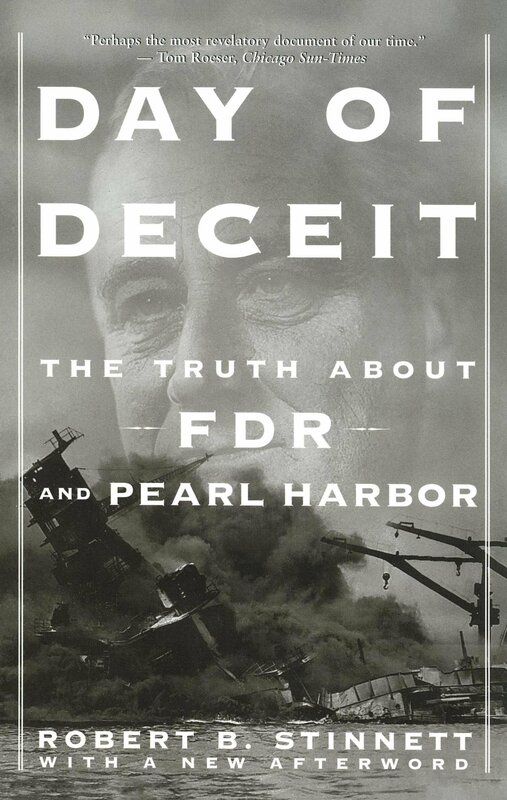 Worse still the grandest of strategies in war is deception not just as a tool against an enemy but as a means to garner support for the battle by an unsuspecting even naive public. Robert started lightly with a biography of George H.W. Bush. He was even welcomed at The White House by President Bush to gift him a special bound copy of his book. But deep inside the quest for truth was alive. 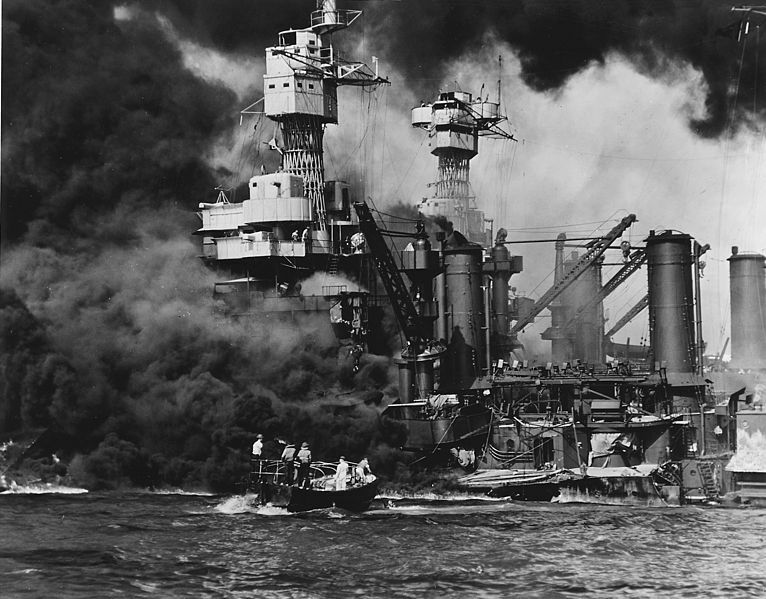 What stirred his heart into action was At Dawn We Slept, The Untold Story Of Pearl Harbor. It is in my library along with many others. There was no mistake that the Japanese codes were broken so effectively that the distinctive taps of the radio operators of every Japanese ship were known to the trained ears that listened. Robert acquired the declassified records of that day of infamy. Not only did they know, they ordered the forces at Pearl to not fire on the approaching Japanese. Robert blessed the world with his grand tome on the events leading up to that fateful day. There can be no other word than treachery that our military was set up in an ambush to create a rationale to support the war. America was overwhelming against getting involved in the European war. Charles Lindbergh led and organized a group called America First. It would have been political suicide to even attempt to try to run a campaign on a war policy. However, by allowing the enemy to succeed with a surprise attack that was a surprise only to the vast swathes of people who sleep would change all that, and it did. Support for the war reversed. It was close to 100 per cent I’m sure. This is an emotional ploy to satiate the dark side of the human psyche with state approved revenge. There were lineups at recruiting stations. I had the good fortune to discuss a point with Robert on The Power Hour radio show with Joyce Riley. He explained how the wounded were aghast at these headlines. How could the brass not have known? It was on the front pages of the local newspapers. These papers were given to the wounded even. Robert told us the FBI came and confiscated them all. However, a few learned souls hid theirs inside their dressings for posterity. All along the trail it was denied that there was inside knowledge or the attack could have been prevented. Everything was classified. Admittedly it was long past before the records could be revealed. It was a matter of honor only. Robert was maligned in The New York Times. They said documents from the Secretary of the Navy and the Chief of Staff were ‘doubtful.’ It is outrageous that the truth and the truth teller are publicly maligned, but at The Power Hour it’s all about the truth. There were many other sources as well. Mainstream just pretend they don’t exist. In 1902 Franklin Delano Roosevelt (FDR) studied at Harvard with a Japanese student who advised him about the 12 step 100 year plan the Japanese devised in 1889 to dominate the world. It culminated in taking over the Pacific region including Hawaii as well as Australia and New Zealand. It appears whether he ever knew it or not our student may very well have been the time catalyst that changed the destiny of history. Of course there was nothing to be a surprise in the SURPRISE attack. 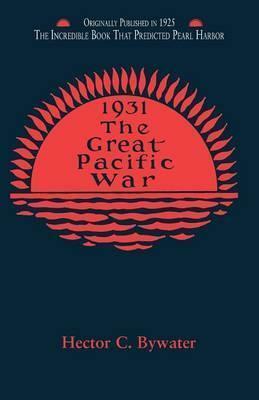 This popular book The Great Pacific War layed out the plans. It was written by Hector C. Bywater a British intelligence asset. 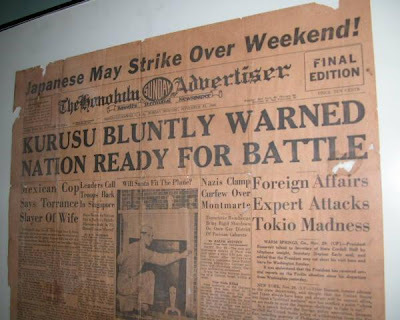 A young Japanese naval attache to Washington Isoroku Yamamoto bought a copy and had it translated for use as a text at the Japanese Naval College. Hector C. Bywater wrote on naval issues in the popular press. He debated young Undersecretary of the Navy Franklin Roosevelt in the Baltimore Sun in 1923 on these issues. The material is well covered in a book called Visions of Infamy. So as we say on The Power Hour, it’s all by design. You have the proof before you. President Roosevelt knew in 1902. He wrote about these issues in the Baltimore Sun in 1923 as Undersecretary of the Navy. Still we sleep. This trick is used over and over again because we refuse to learn anything from history like the methodologies that take us to war. Our finest sons and now daughters are slaughtered and still we sleep. However, Robert shone a great light upon those with eyes to see and ears to hear. He is blessed and honored among men. I was honored to read his book and speak with him. Hopefully you learn these tricks and teach them to your children. It is an object lesson in life. Thank you Robert from The Power Hour Nation for a job well done. God bless you always. You will always be my hero.